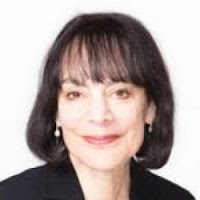 Carol Dweck, founder of mindset theory, has written an ambitious new paper in Psychological Review. In this paper, she presents a new theory about how personality is formed and how both nature and nurture play a role in this. The interesting thing about this theory is that it both establishes connections between old and new theories within psychology and that is brings together separate psychological disciplines. Social psychologists have often been criticized for paying too little attention to theory building and for merely developing fragmentary knowledge. Dweck now comes up with a strong answer to these criticisms in the form of a broad theory which may turn out to explain a broad range of psychological phenomena. This type of theorizing is not only important for social scientists but also for practitioners for whom psychological knowledge is relevant (and who is really excluded from this group?). Good theory can help practitioners deal with problems in more informed, systematic and integrated ways. Below, I will explain what the theory is. Then, I will say a bit more about some of the main parts of the theory. As briefly explained as possible, the theory comes down to the following. We all have a set of psychological needs which we try to satisfy through the goals we set. While we try to achieve those goals we develop mental representations in the form of beliefs, emotions and action tendencies. These mental representations then direct the further goals we set. As this happens we gradually form certain styles in the way we set goals and related patterns of behavioral tendencies which can be viewed as personality traits. According to Dweck these mental representations become the basis of how personality develops. The figure below summarizes this. As part of her macro theory Dweck presents a micro theory of needs which is interesting. In her theory of needs she integrates parts of many other needs theories, such as self-determination theory (Ryan & Deci, 2016). Her model fits with these earlier theories and builds on them by adding a meaningful stratification. 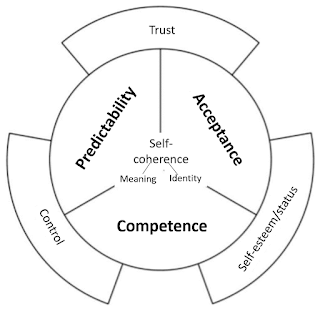 The first layer consists of three basic needs: acceptance, predictability and competence. The second layer consists of three emergent or compound needs: trust, control, and self-esteem/status. The third layer consists of one developed need: self-coherence, which itself consists of two components: identity and meaning. The figure on the right shows the entire needs model. The first layer of needs are basic needs. These are needs which are present from birth of shortly thereafter. The second layer contains needs which have developed later on and follow from combinations of the previously mentioned basis needs. 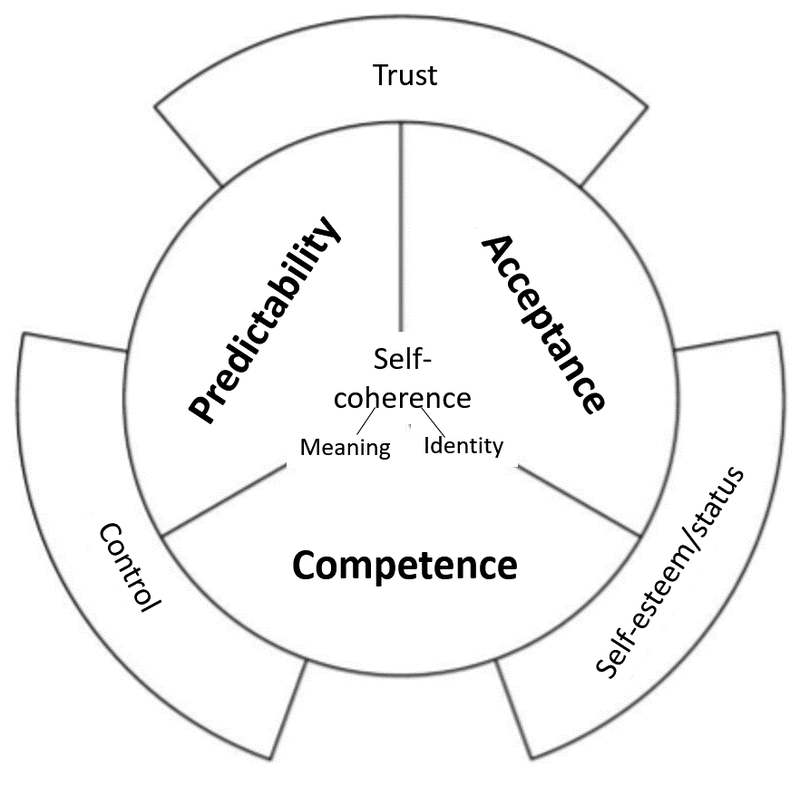 Trust emerges from the combination of predictability and acceptance, self-esteem from the combination of acceptance and competence, and control from the combination of competence and predictability. These compound needs develop later on in the development of the individual because the require a greater self-awareness and a greater ability to compare oneself to a certain norm. By the way, that these compound needs develop later does not mean they are less important. The need for self-coherence is the "hub" of all needs and refers to the feeling of being psychologically intact and integrated. The component of identity revolves around the question of "who am I?" while the component of meaning revolves around the question of "How does the world work?". Dweck argues that when we set goals to satisfy our needs experiences are created which we start to represent in our brains. The representations can be thought of as cognitive schemas based on our experiences. What these mental representations refer to Dweck explains by the acronym BEATs which stands for Beliefs, Emotion, and Action Tendencies. BEATs are thus the way the brain encodes the experiences we have as we try to achieve the goals we set in order to fulfill our needs. That BEATs emerge from experiences does not mean that genes play no role in their formation. Genetic factors can surely play a role in how experiences are mentally represented. A an aside I would like to mention that a powerful example of how beliefs (the B from BEATs) play a role in the development of behavior and personality is Dweck's own mindset theory. Mindset theory is also a good example of how influencing people's beliefs can have a great impact on their behaviors and consequences of their behaviors. If the influence is structural, Dweck's new theory suggests, personality formation can be influenced. This theory may have important implications for how we think about individual development and for effective ways of intervening in the case of problems. The theory could, for example, be very useful in explaining personality disorders. One way in which this might be done is by understanding how an excessive focus on fulfilling one particular need could suppress the fulfillment of other needs. Obsessive-compulsive disorders might be understood as an excessive focus on goals which are aimed at satisfying the need for control which may be at the expense of the satisfaction of other needs. A BEAT which might play a role in this process is a low expectation of control. Another way in which personality disorders might be understood is through the formation of ineffective BEATs. People with a borderline personality disorder might, for example, have developed ineffective and unrealistic beliefs about the meaning of rejection bu others due to which they might react in and extreme manner to rejection. Further, disorders could be understood as a inability to keep updating BEATs throughout life. Another type of implication of this theory concerns the identification of entry points to stimulate or guide healthy personality development and to intervene in case of problems. An healthy personality development can take place in a context which recognizes and supports the seven needs which Dweck describes. The basic needs can be recognized, acknowledged, and supported from very early on. The compound needs emerge later and can be supported later on. Also, a healthy personality development requires the formation of effective and realistic mental representations (BEATs). Realistic beliefs and effective action tendencies are important prerequisites for healthy personality development. Beliefs and action tendencies also appear to be very suitable as entry points for the treatment of problems and disorders. Unrealistic (and/or ineffective) beliefs may lead to ineffective behavioral tendencies and eventually even to personality disorders. I have tried to briefly summarize Carol Dweck's new theory. Of course, her paper provides a much more in depth treatment of everything I have mentioned. I think this paper is one of the most ambitious and interesting psychology papers I have read in a long time. The framework which Dweck presents builds on a great deal of previous theory building. At the same time it may guide a lot of new research which may test the specific parts of this theory and their connections. Future research could, for example, test the structure of the taxonomy of needs, the relations between personality disorders and needs satisfaction, and BEATs, and the degree to which personality development can be influenced through BEATs. Excellent summary! I too am excited about this theory. I am currently looking for ways to incorporate this theory into my practice. In particular, I am looking for ways of helping (young) clients understand BEATS, explore their BEATS, and either update their BEATS implicitly through (positive) experiences (such as but not limited to counselor-client interactions) and/or explicitly via cognitive interventions.